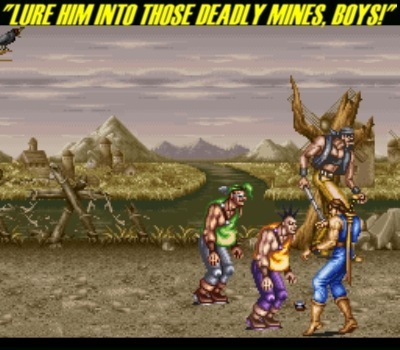 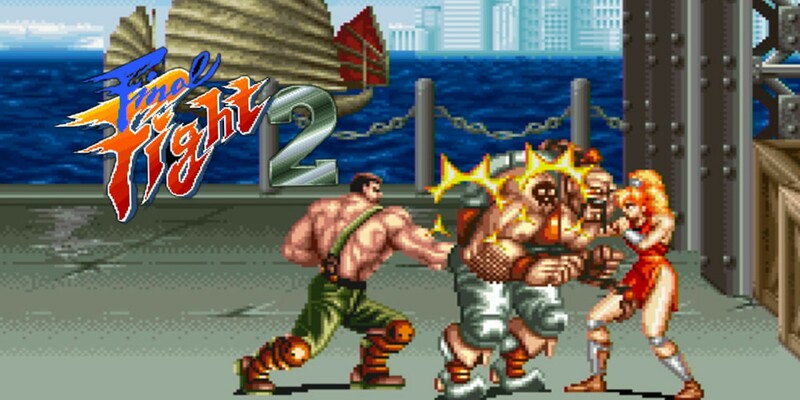 Final Fight 2 is arguably Capcom at their laziest and most creatively bankrupt, and represents one of their lesser offerings on the Nintendo 16-bit bar none. 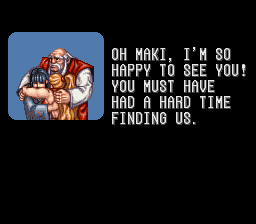 This was the eighth Super Famicart I imported back in 2012, and of all the SFC games in my collection (and that’s a lot) it is one of the weakest also; I think I would’ve felt the same way if I had chosen to play the American version instead. 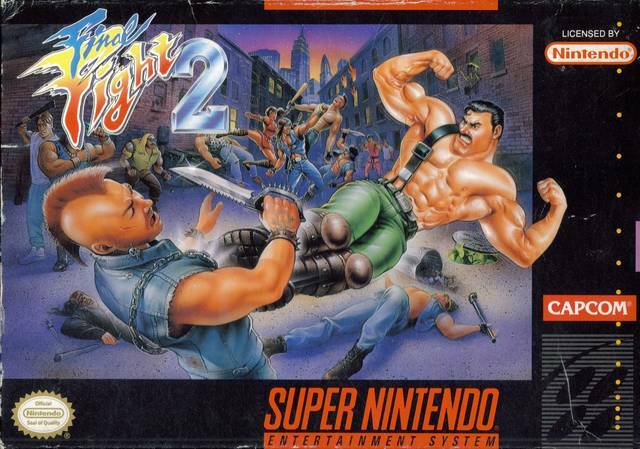 This is a sequel that exists purely because another sequel, Ancient’s Streets of Rage 2, was such a huge success which caught Nintendo’s attention thus they went to Capcom and asked for a sequel to the 1989 coin-op hit Final Fight. 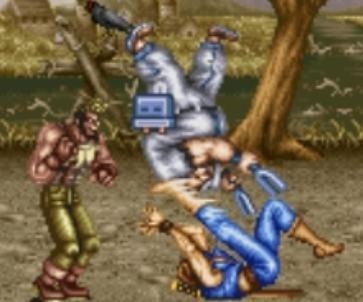 The main issue is that Capcom had no interest in making a sequel to it and clearly did not want to make it–a feeling that is very evident when playing it–and only did so out of obligation. 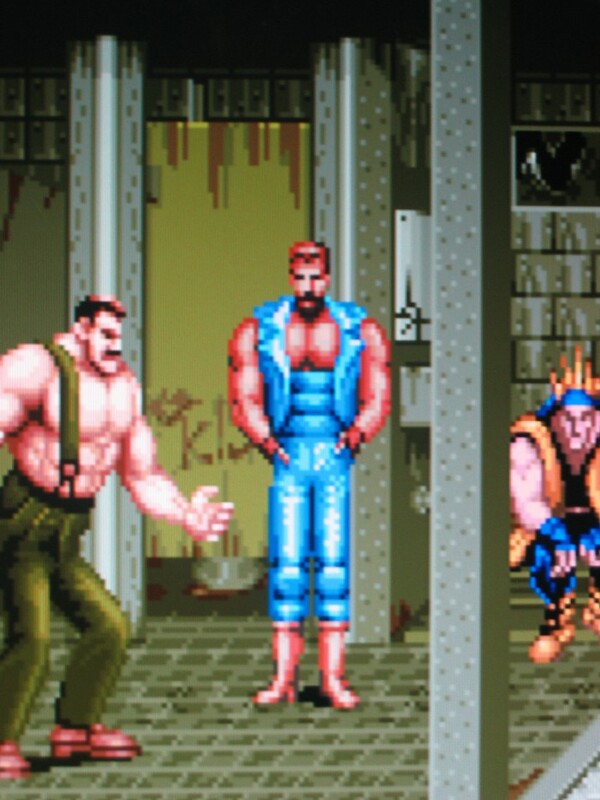 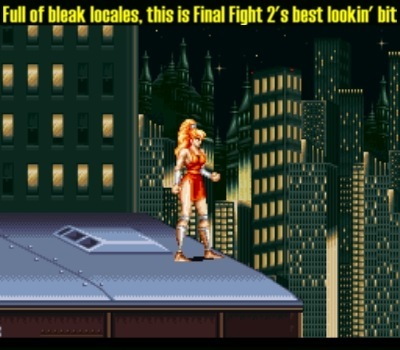 Final Fight 2’s less than remarkable quality is on Capcom though, not Nintendo, for many reasons. 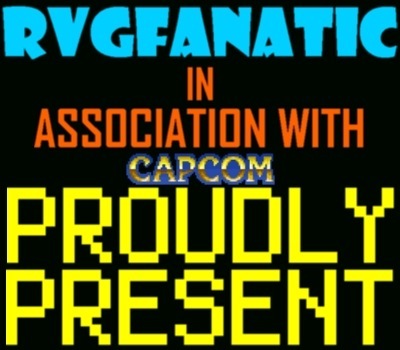 The biggest issue stems from the gameplay: it is largely if not completely lifted from its predecessor, as Capcom have made no attempt to do something different for the follow-up. 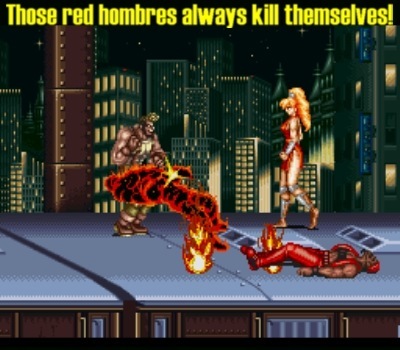 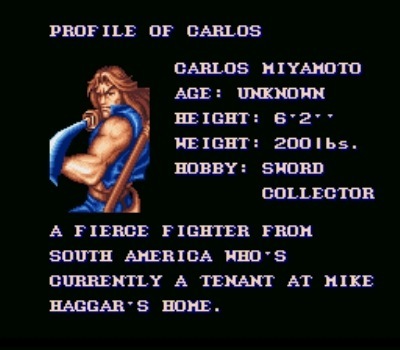 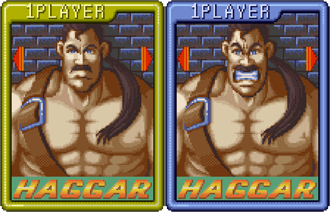 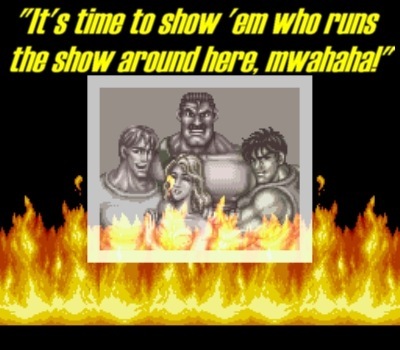 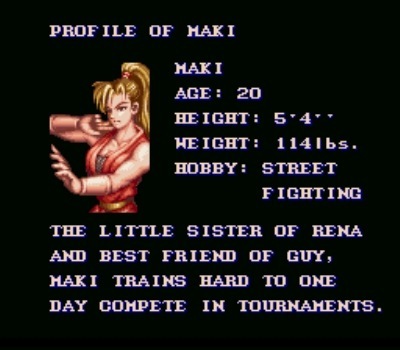 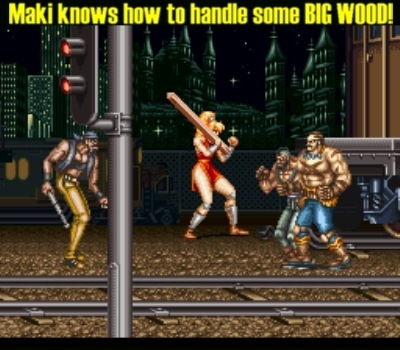 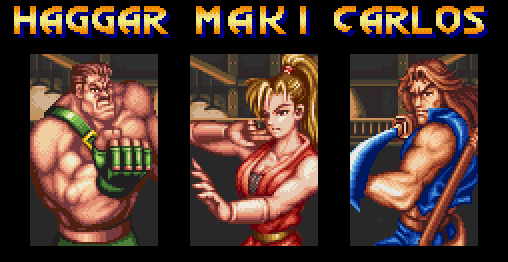 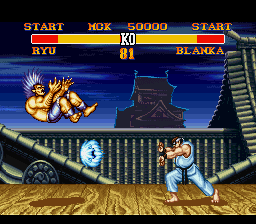 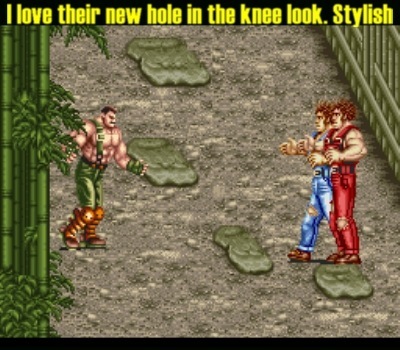 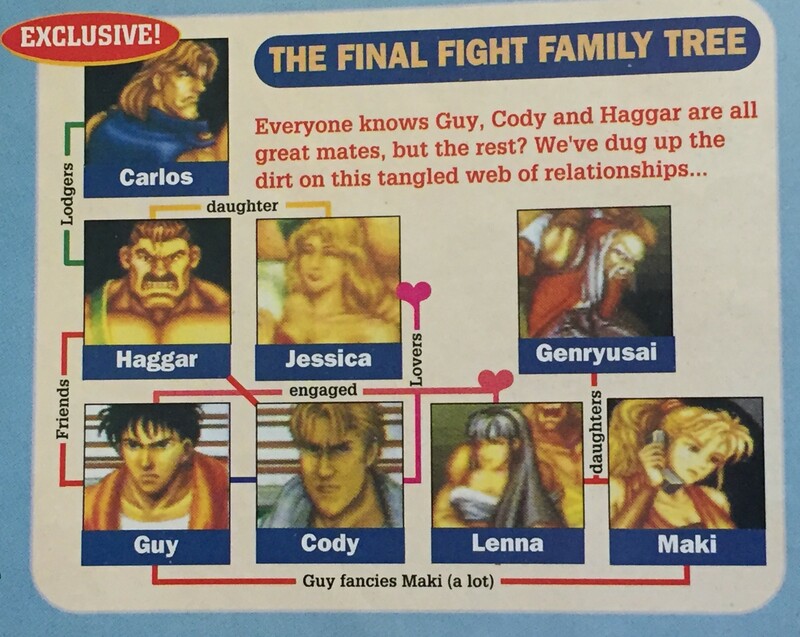 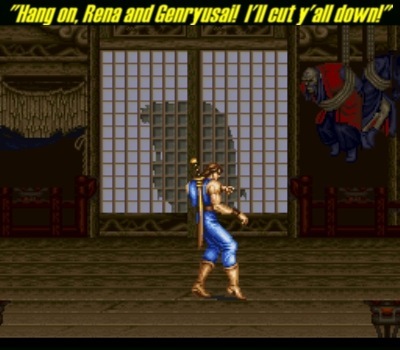 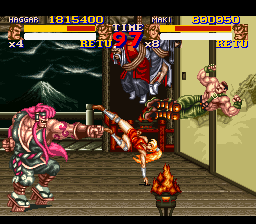 Not only are the controls the same but structurally it feels like the last game too, Maki is the female Guy equivalent right down to the red color scheme with her swift agility making up for her lack of power, Carlos is the blue-colored Cody equivalent in that he’s the median character, while Haggar is the only constant between the two entries (and the best character to play purely due to his strength), the structure is similar despite having you globetrotting around the world, the characters move at a walking pace like before, the same car smashing bonus stage from Final Fight and Street Fighter II makes a resurgence minus the freshness, and to top it all off there is *another* family kidnap plot (Maki’s sister Rena and master Genryusai as opposed to Haggar’s daughter Jessica) with the main villain sharing the same defenestrating fate (differing architectural substance aside) when you defeat him. 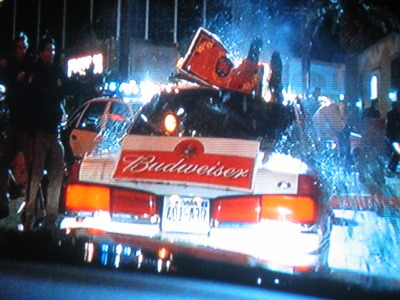 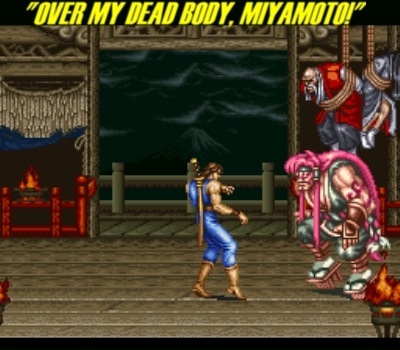 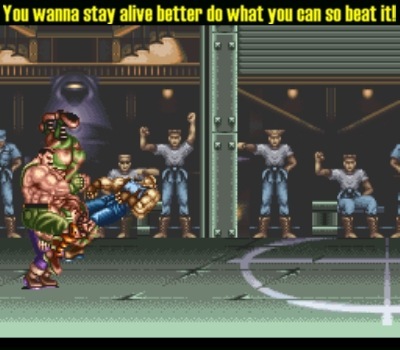 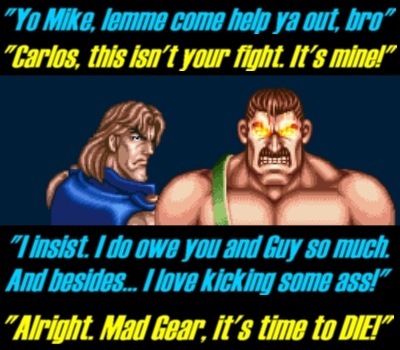 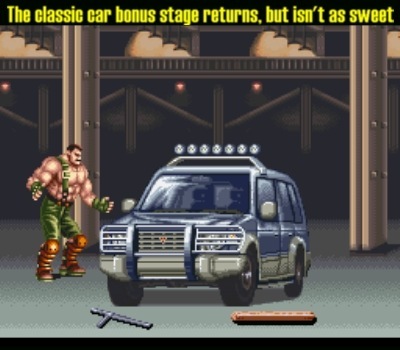 This is essentially Final Fight 1.5. 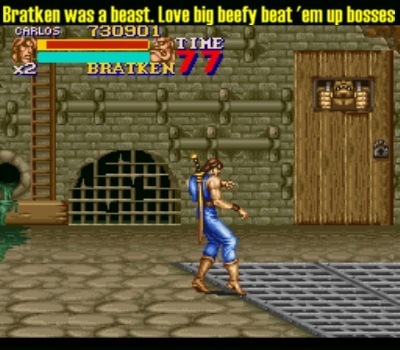 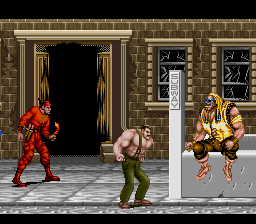 The reason Streets of Rage 2 was a big hit was because Ancient lifted several of the controls from the last iteration, expanded upon the familiar gameplay with new implementations, and gave it a grand sense of polish, resulting in a highly polished and really fun and fresh entry in the beat’em up genre. 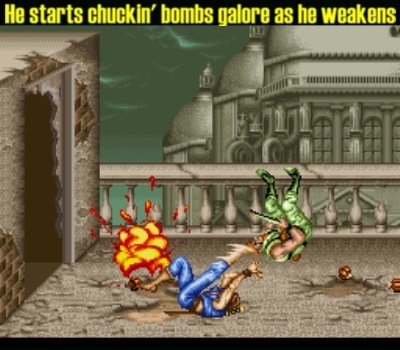 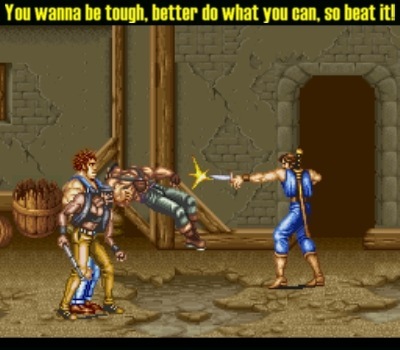 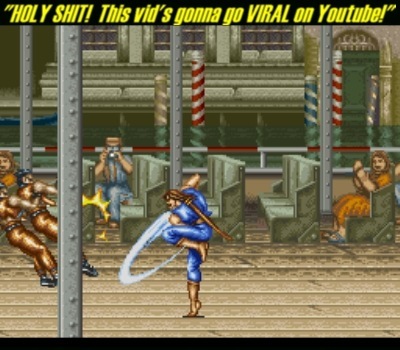 By not doing any of that with Final Fight 2, Capcom wound up making what felt fresh in the first game feel and redundant stale here; which wouldn’t be a bad thing if the game was the least bit fun, but because you’re only reduced to walking and rely on the gameplay introduced in the first game (minus the much-needed expansion), it feels far too redundant and overlong as a result; and having to stop to fight three bad guys at a time does not help its case. 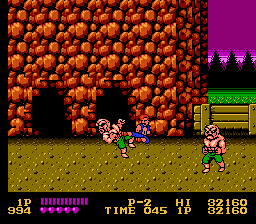 I mustn’t neglect to mention that the Elick enemies are the absolutely worst. 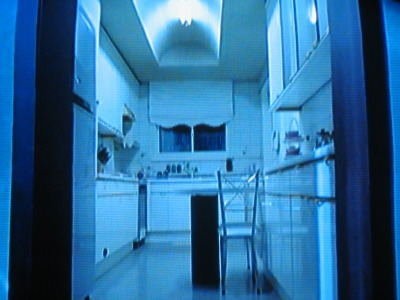 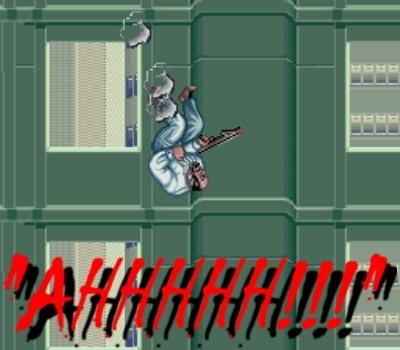 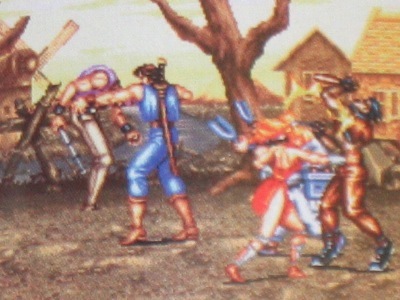 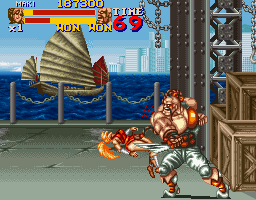 The soundtrack is also not of memorably high quality, which is unfortunate when you’ve got the likes of Mari Yamaguchi, Yuki Iwai, and Yasuaki Fujita (who also did music for the first Final Fight) among a few others in the pantheon of composers who provided music for this game—though considering Final Fight 2’s original Super Famicom release was in May 1993, five months after Streets of Rage 2’s December 1992 debut, they probably didn’t have enough time to come up with a better score (though I appreciated the slower tempoed remix of Final Fight’s first stage theme playing during the intro, and the ending song is nice). 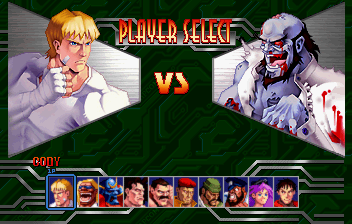 Speaking of that time gap, that’s another thing: I’m pretty sure that Capcom had a longer planning and development period with the first game then they did for this one. 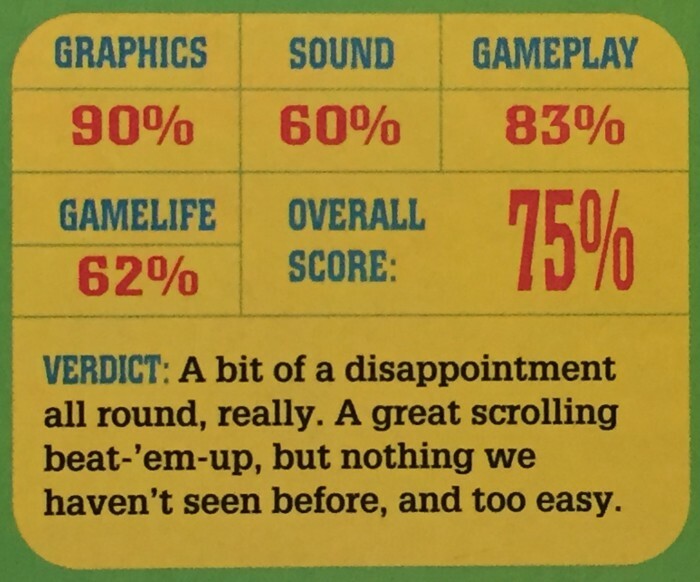 Yes, one of their subsequent games, 1995’s Rockman 7/Mega Man VII, was done in the span of three months, and while I’m not too keen on that game myself personally (even though I *really* want to like it as there is a lot to like and appreciate about the Blue Bomber’s non-X 16-bit venue) it was at least better made and structured to a point. 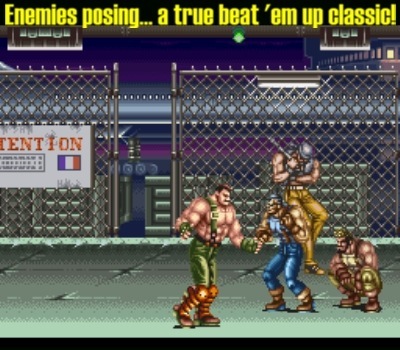 If your beat’em up follow-up is going to have you move in a slow walking pace, have a point or do enough with the gameplay to warrant and/or justify it, like Technōs Japan Corp.’s Return of Double Dragon did which compensated for the slow pacing with an expanded moveset. 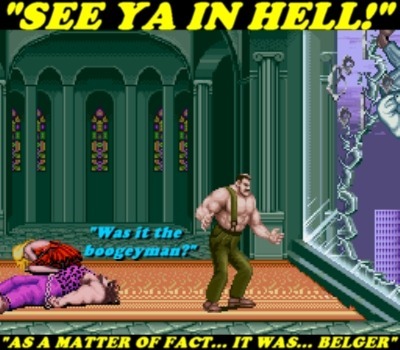 What does it say when Technōs Japan Corp.’s Double Dragon fourquel, an unfinished game that was rushed for release, felt more fulfilling and satisfying to play than Cacpom’s Final Fight 2, a game that *was* finished in time for release, did? 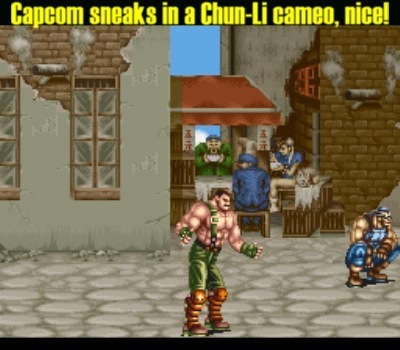 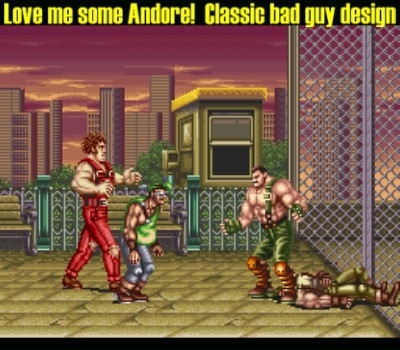 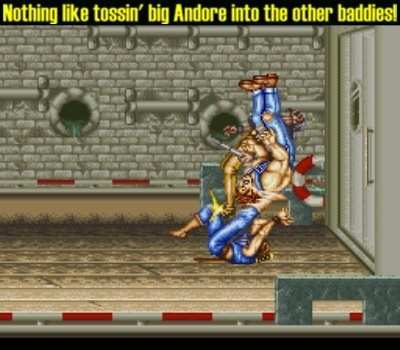 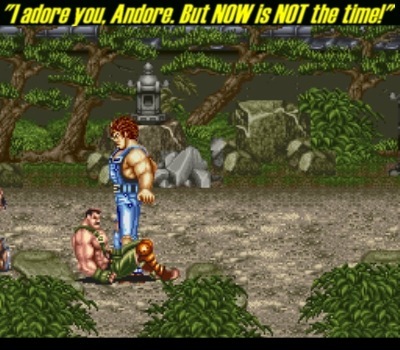 I appreciated the Chun-Li and Guile cameos, and visually it is pretty to look at (which for Nintendo 16-bit Capcom is par for the course) with its abundance of well-chosen colors and detailed attention to detail in its location settings (the gradual darkening of the sky in Paris is a nice touch, and I like the Holland stage’s desolate aesthetic), though I really wish Capcom focused that much energy into the gameplay department instead, but it wouldn’t be the last time that they would unwisely take priority in the visual department over gameplay (*cough*Breath of Fire II*cough*). 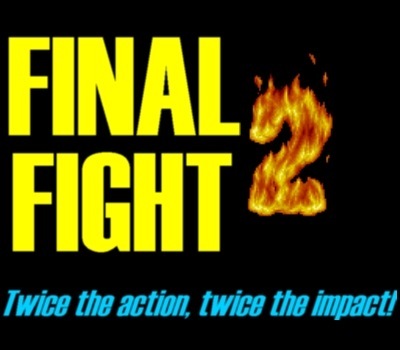 Yes, Nintendo asked Capcom to make Final Fight 2, but it was *on* Capcom for agreeing to do it and not putting their heart into it when it came time to develop it. 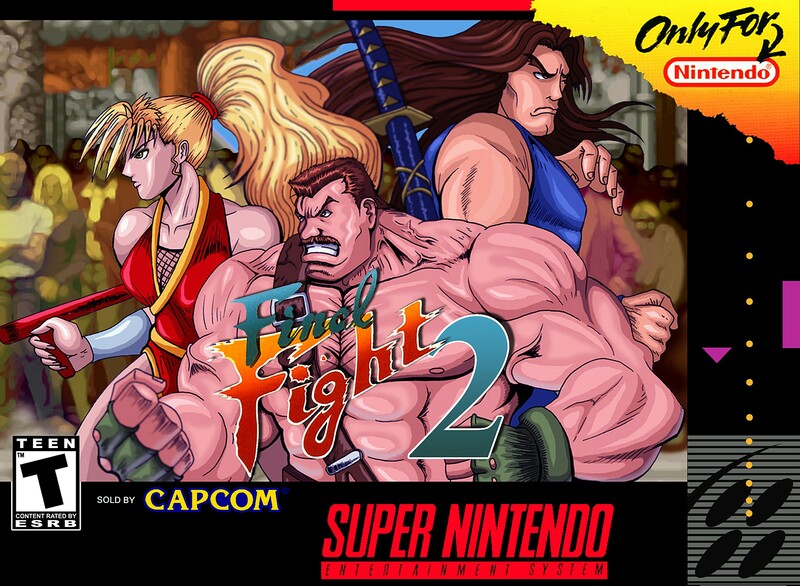 This isn’t Capcom’s worst game, but it is in my bottom three of their 16-bit venues (alongside Breath of Fire II and Mega Man VII) and one of their weakest games in general. 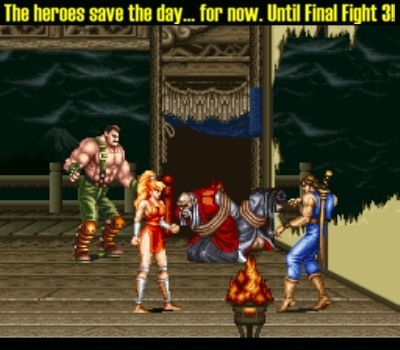 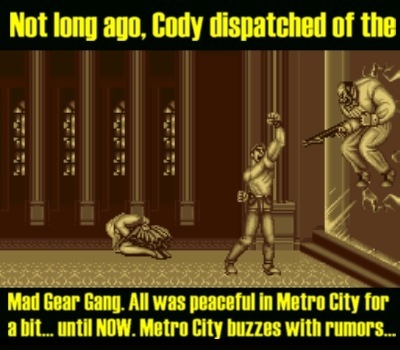 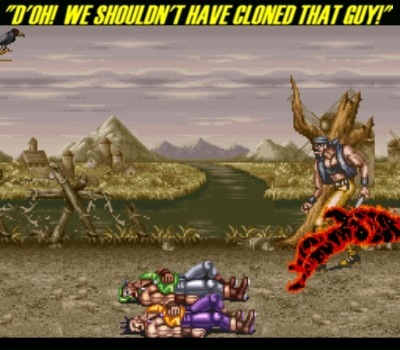 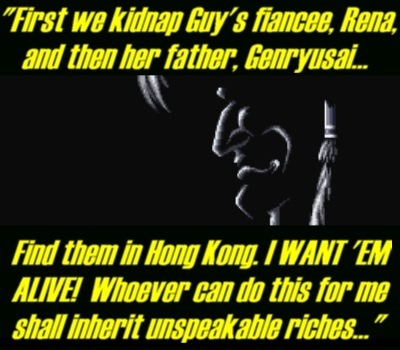 I am so glad that they would rectify from their half-hearted effort that was this game with Final Fight 3, a game that is a lot better than it has any right to be, which did everything 2 *should* have before it: expand on the gameplay and implement new ideas, add a running pace, give a reason for replay value with different paths and endings (as opposed to just showing little or more of the ending depending on the difficulty), and above all else: BE FUN TO PLAY!!! 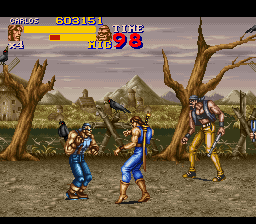 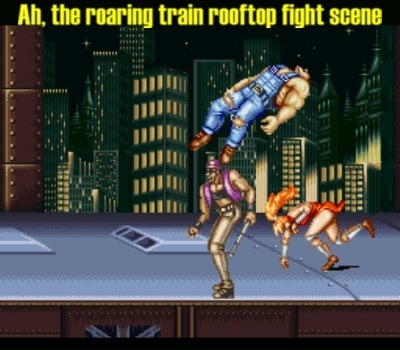 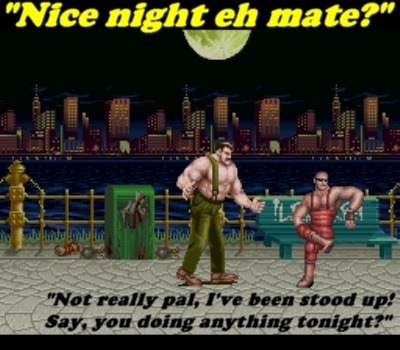 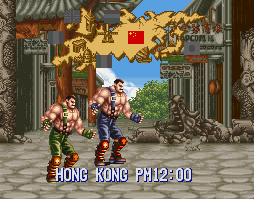 Final Fight 2 wasn’t so much unplayable so much as tediously stale and redundantly long average fare, in my opinion; I’m sure it’s a lot better when played by two people, but by oneself it just does not achieve fun levels. 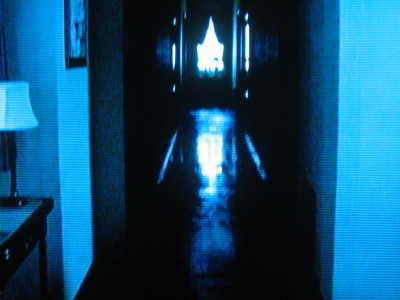 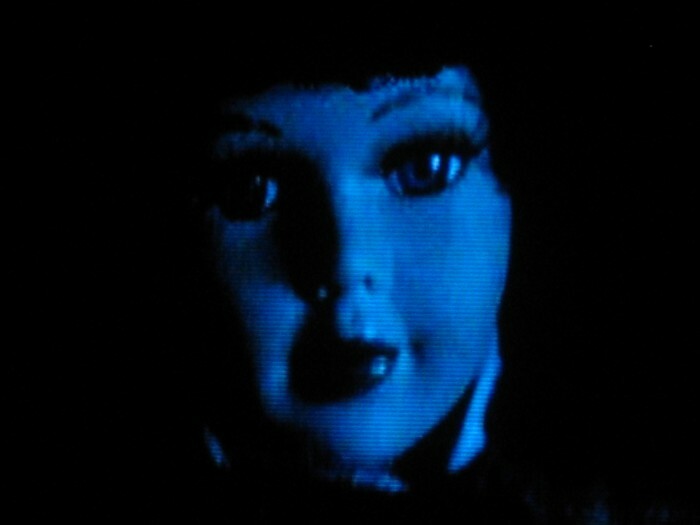 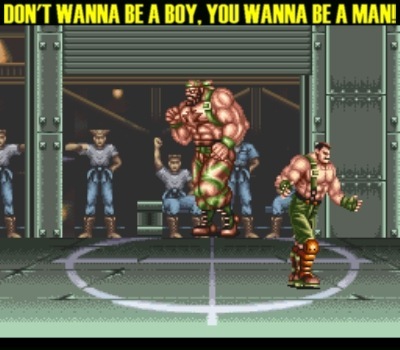 I realize I’m coming out strong, and it wasn’t my intention to when starting to type this (I don’t want to feel like I’m putting anyone off, and I don’t want to feel like I’m coming across as being aggressive, ‘cause I’m not, but if that’s what it comes across as then I’m very sorry), it’s just that Capcom had proven to be a better company than this as Final Fight 2 is not just a disappointment as a sequel, not just a disappointment as a game by itself, but also a disappointment as a game by Capcom, and that’s disheartening given their preceding portfolio. 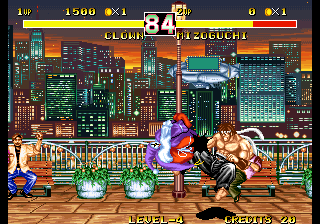 The Great Circus Mystery starring Mickey & Minnie, while devoid of much of the magic evinced by its predecessor (so the Japanese title Mickey to Minnie: Magical Adventure 2 makes no sense other than to tie into its predecessor), was at least fun in its own right (the third game reverted the series back in the right direction, but that’s neither here nor there). 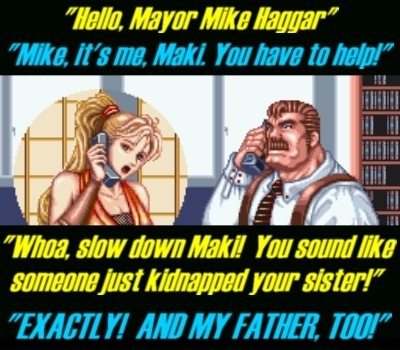 I have no issue if anyone enjoys this game, different strokes for different folks, it’s just that it did not work for me personally. 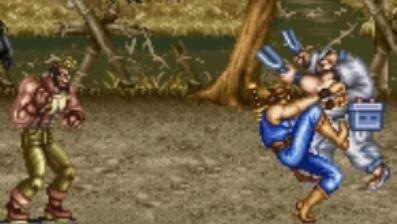 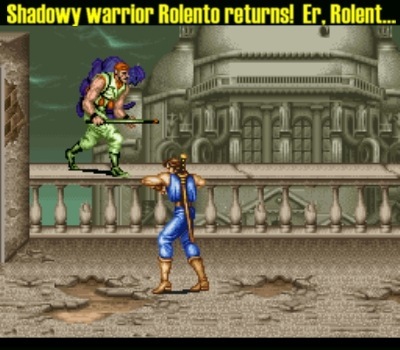 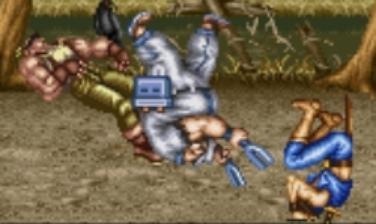 I felt that Return of Double Dragon was a better game in the genre than this as far as 16-bit entries go, Konami’s TMNT licenses Turtles in Time and The Hyperstone Heist I enjoyed more, Final Fight 3 was a substantial improvement, and the highly underrated middle chapter of Jaleco’s beat’em up trilogy Rushing Beat Ran — Fukusei Toshi, despite its derivative nature and admittedly feeling a little long in the tooth, is a lot of fun plus it has got a lot of replay value in its favor. 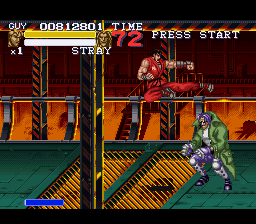 I haven’t played the first Rushing Beat (I refuse to touch the localized version given the plethora of changes I looked up it underwent between versions), but I’m hoping it’s at least decent or better than Final Fight 2. 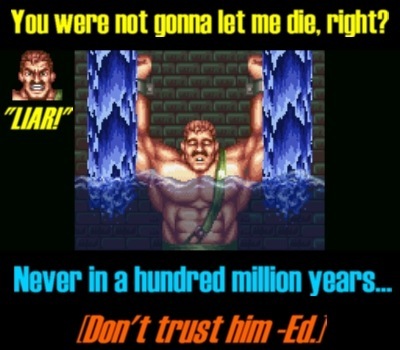 No worries at all. 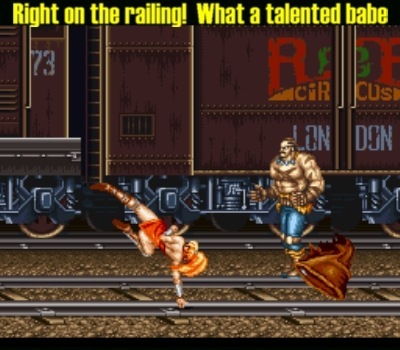 I pretty much agree with your assessment. 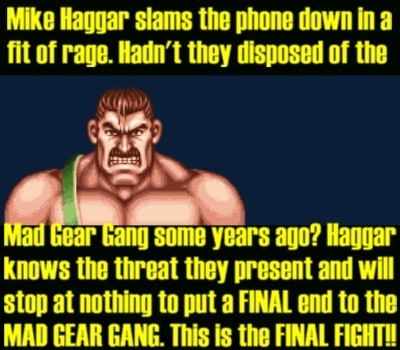 Perhaps I’m a little more generous to Final Fight 2 than you are but on the whole, I agree that it’s a rather disappointing follow-up. 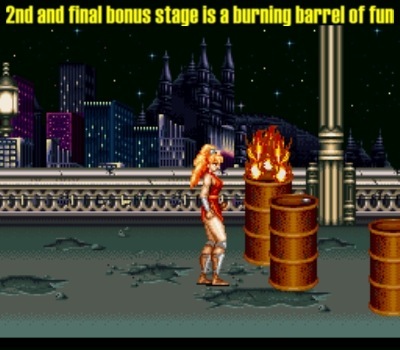 Certainly not unplayable but tedious and not as fun as it should have been. 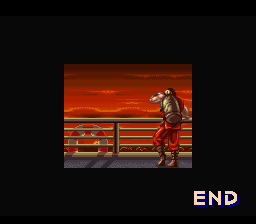 Final Fight 3 is undoubtedly superior and I’ve yet to meet anyone who thinks Final Fight 2 is the better of the two. 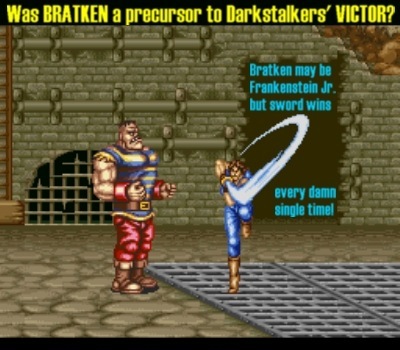 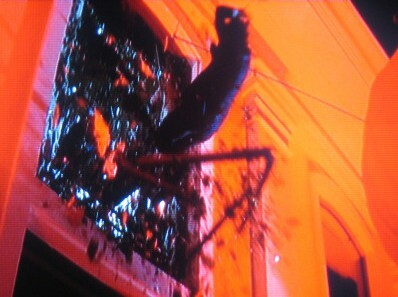 The way I look at it is this. 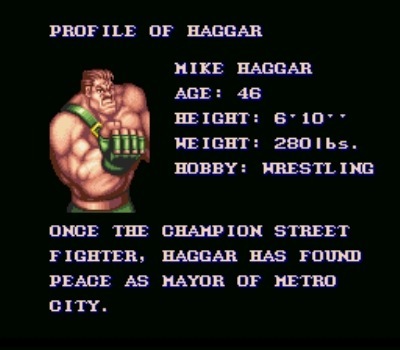 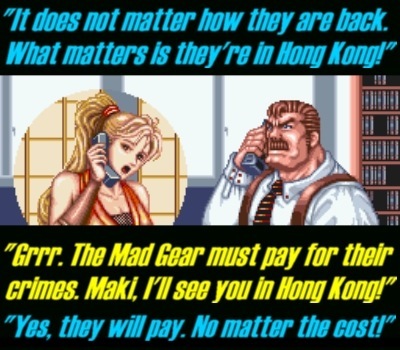 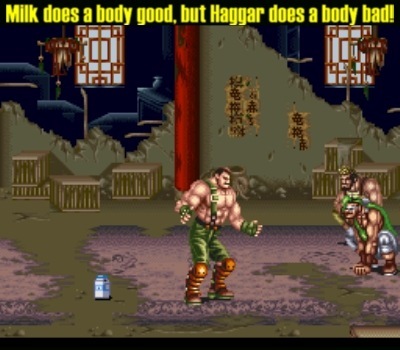 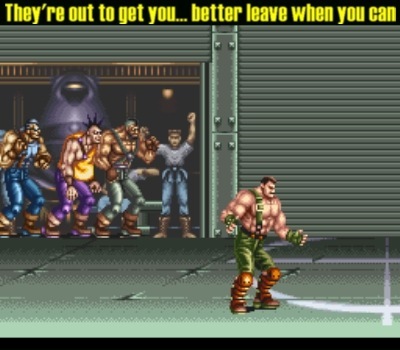 Final Fight 2 is forgettable but I’m glad it came out. 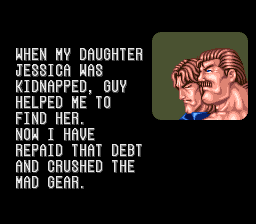 It led us to Final Fight 3 after all, which was a pleasant surprise. 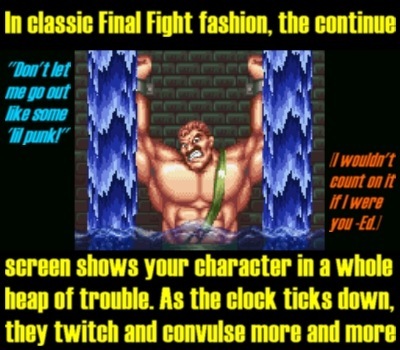 I don’t really count Final Fight Guy. 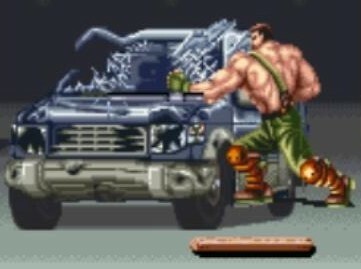 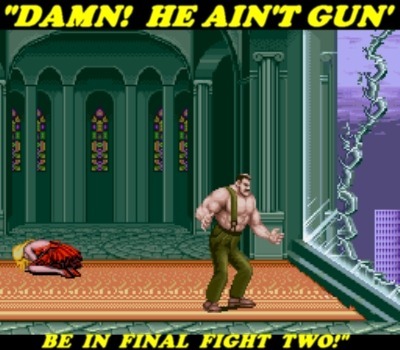 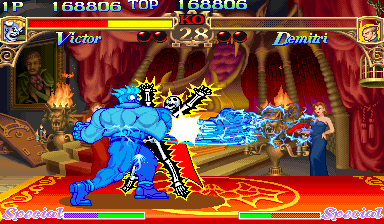 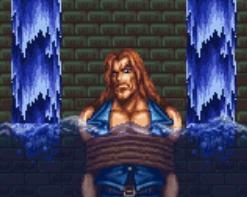 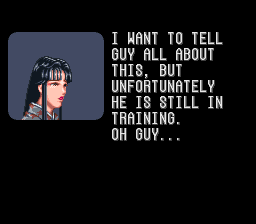 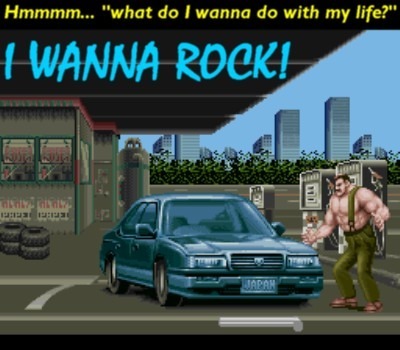 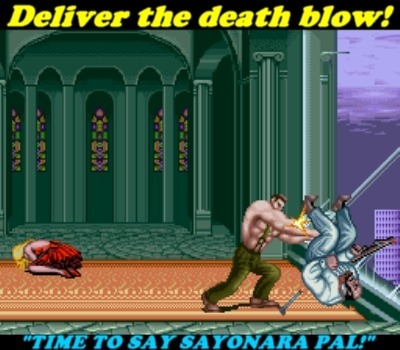 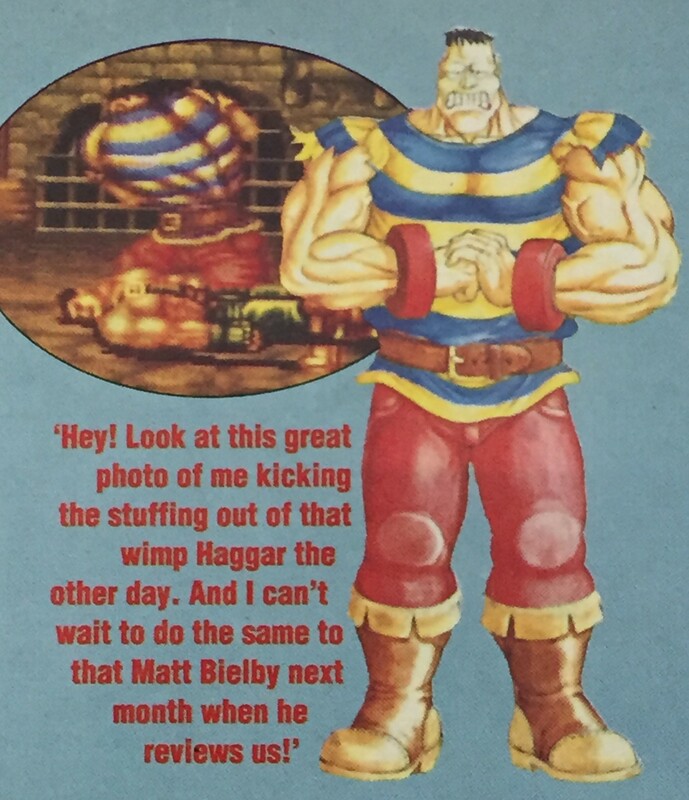 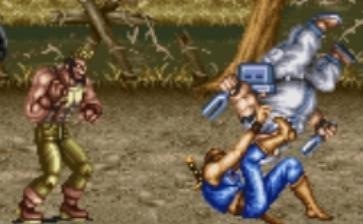 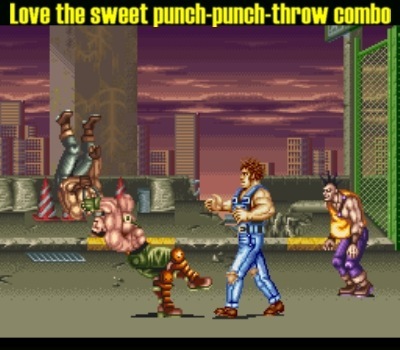 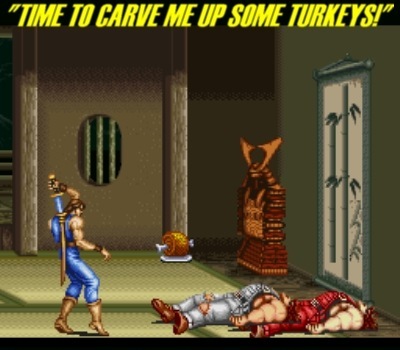 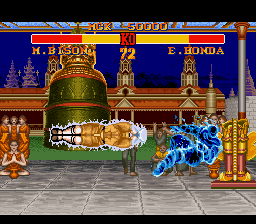 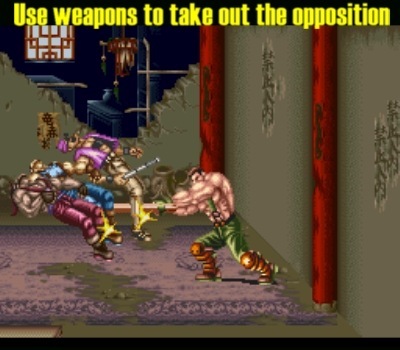 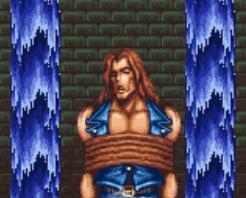 But yeah, I also agree that Final Fight 2 might just be Capcom’s most ho-hum effort on the SNES. 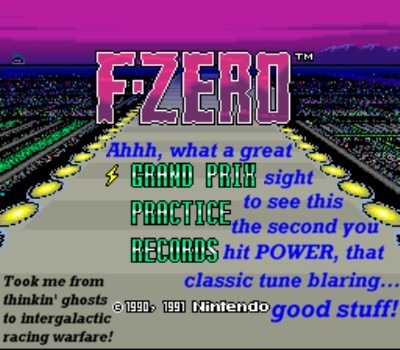 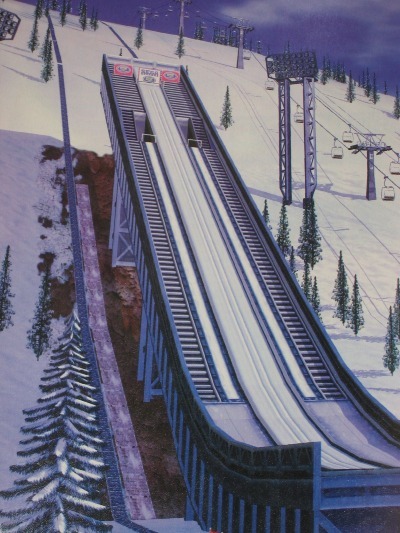 It’s a toss-up between this and Bonkers. 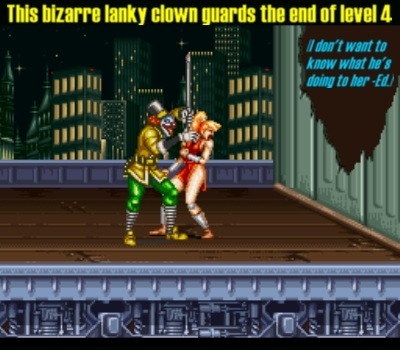 Bonkers is perfectly playable too but it lacks the typical Capcom pizzazz and polish. 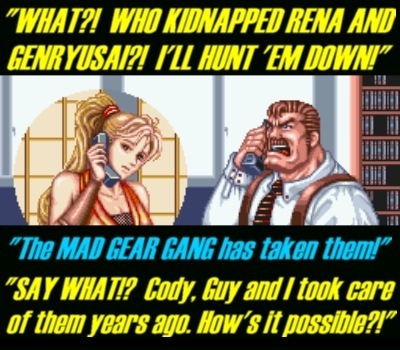 Feels like it was developed by Capcom’s “C Team” and not their A Team. 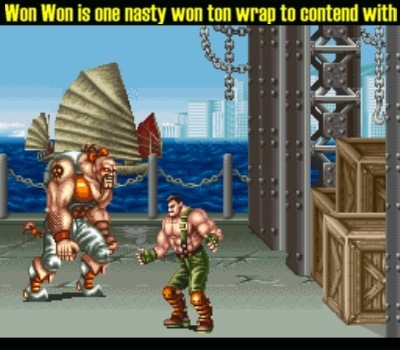 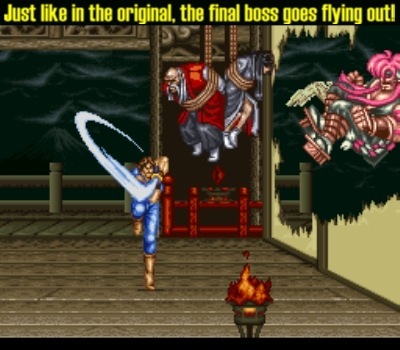 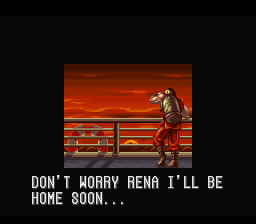 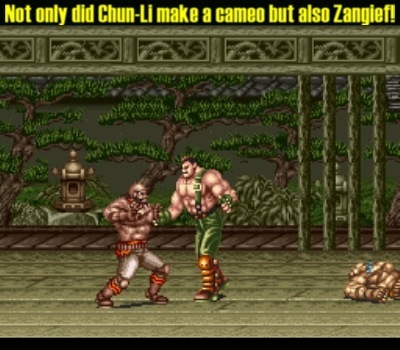 Could say the exact same for Final Fight 2. 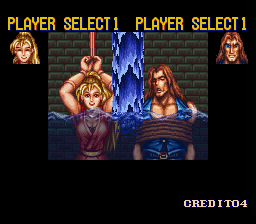 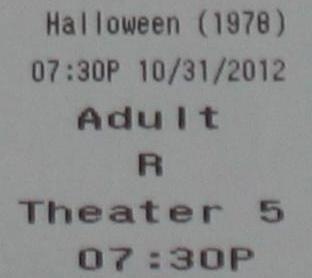 It tries with the token fan service but something about it just felt off. 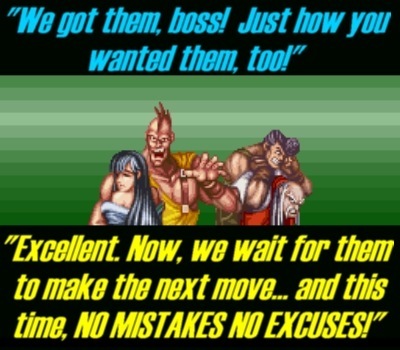 Oh well, Capcom gave us far more hits than missteps, so you can’t be TOO harsh on them.